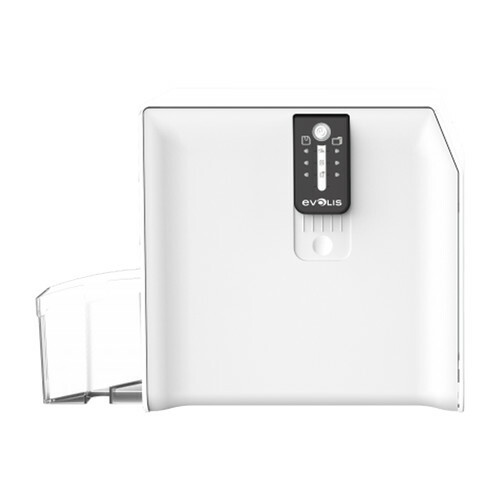 Laminate your ID cards for additional durability and protection against fraud with this Lamination Module from Evolis. This module is an accessory for the Primacy ID badge printer, featuring infrared connectors that communicate with the printer for seamless production of any CR-80 sized card with a thickness between 30 and 40 mil. It can laminate one of the sides of the card in a single pass, or both sides by flipping the card over. This version of the laminator comes with a control panel with an on/off button and six LED status lights. These LEDs are used to indicate any problems with either the printer and the laminator, including running out of ribbons or necessary cleaning of one of the units. Included with the module is an output hopper, the necessary connection materials, a CD-ROM with the printer driver, and a power supply.